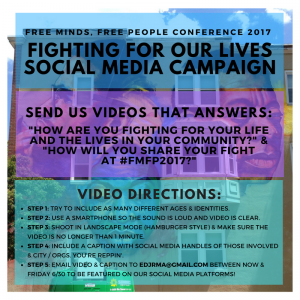 With just about a month left to go before #FMFP2017 we are launching our brand new Fighting For Our Lives Social Media Campaign! We’d love to see and share the incredible people coming to Baltimore and the many ways we are collectively transforming and liberating ourselves and our communities! Step 1: Try to include as many different ages and identities. Step 2: Use a smartphone so the sound is loud and the video is clear. Step 3: Shoot in landscape mode (hamburger style) and make sure the video is no longer than 1 minute. Step 4: Include a caption with social media handles of those involved and city/organizations you’re reppin. Step 5: Email video and caption to edjrma@gmail.com between now and Friday 6/30 to be featured on our social media platforms! 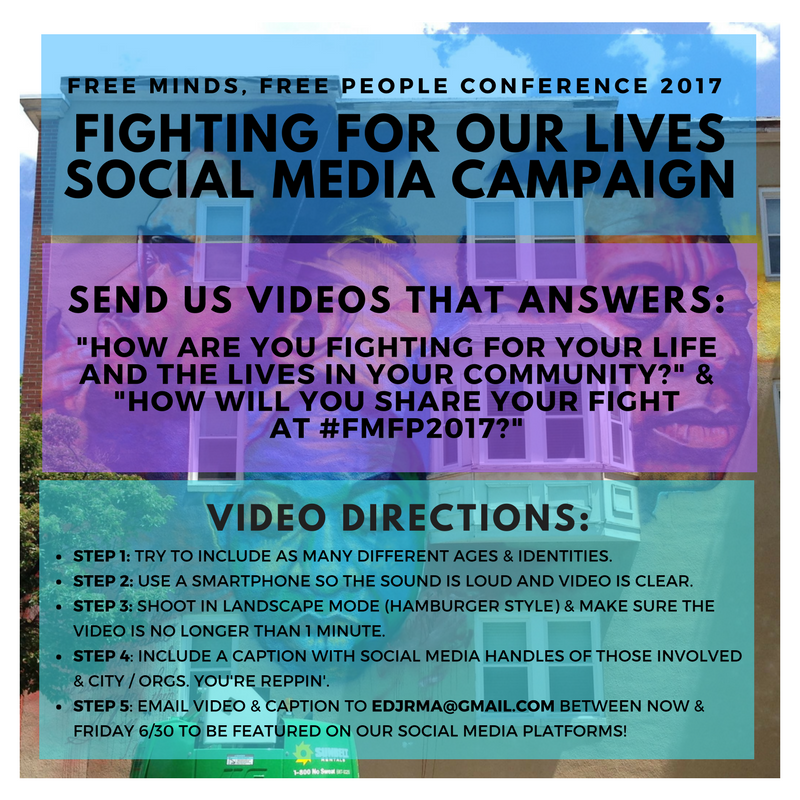 Check out our Instagram page to see a sample video of how the People’s Education Movement-Bay Area will be bringing that Bay love and anti-colonial, hopeful, and transformative educational work to #FMFP2017!